and those of their team mates is beyond measure." Promotion Products was founded by my husband Douglas and I in 2001. At the start of its life Promotion Products focused on providing branded coffee cups to cafes and coffee companies. We quickly learned that the market for branded and promotional merchandise was where we wanted to be. At the time we decided that the place to be was online and developed a web site. Fast forward to today, we are a digitally native company merging a strong online presence and marketing strategy with a blend of personalised customer service and account management that meets the promotional needs of our clients. Why did you approach Human Tribe initially? I had the pleasure of seeing Nic Morris from Human Tribe speak about Strengths at the Business Chicks Movers and Breakers event in 2017.At the time we were in the planning stages for our second offsite to be held in February 2018. I knew that I wanted someone to come and talk to the team, but I didn’t know who or what it would be about exactly. That all changed with Nic’s session.Participating in a 1 hour session with Nic, looking at my strengths and learning just a little more about the strengths model had me hooked. I knew that this was what I was looking for, it wasn’t up for discussion. I called Douglas and told him I had found the content for our off-site. Then I called Human Tribe on Monday morning at 8am. What was the problem you were encountering and how did it make you feel? We didn’t have a problem as such, we had created a vision. The vision was defined toward the end of 2016 at the completion of a yearlong sabbatical in Spain with our family. We called our business plan the 2020 Vision and 2017 as the first year was to be our year of discovery. We knew what we wanted to achieve, we weren’t sure exactly how to get there so we started our exploration. The logical start point seemed to be to share our vision with our team. We had our first full team off-site in February 2017 including partners and families.The result of that off-site being that we had now involved our team in the discovery and exploration phase and they were all on-board with our vision. We were all excited and energised and perhaps a bit daunted, but we had also learned that our team was the key. Our people are the key to our vision, this was exciting to know. Why did you choose to partner with Human Tribe? During our first phone hook-up and planning meeting, Nic asked questions about our values and reasons for doing business. I liked this, it was different – out of the box. It turns out that our values are very much aligned and that cemented our partnership. Jess from Human Tribe is our trainer, coach and facilitator and we now feel that she is very much a part of our team. To be able to create this type of relationship between our companies and our people has been a real bonus and eye opener to what is possible in a business relationship. How did Human Tribe address your problem and how did that make you feel? Our Human Tribe Strengths Journey started for the team with our off-site workshop in February 2018, followed up by 2 x 1 hour individual coaching sessions. We had socialised the strengths model with our team in advance, they had completed the Gallup survey and read the results of their top 5 strengths. There was some quiet interest mixed with scepticism. As business owners we knew and accepted this as the logical starting point for our team. We were also very conscious that we didn’t want this to be like other training that is exciting on the day but nothing changes in the day to day life of the workplace. Come the end of our weekend away, the team admitted to their scepticism and also admitted that they had found the process interesting and valuable. Some were talking to doing strengths with their partners. Douglas and I were happy. We had wanted to introduce something to our team that would be beneficial to them in the work place, but that they could also carry over into their lives beyond work. The box had been ticked. What could have happened if you didn’t address this problem? Without our partnership with Human Tribe would we be able to achieve our vision? The truth is – I don’t know, maybe but it would have been hard work. What was the outcome of you partnering with Human Tribe? Before our partnership with Human Tribe and Strengths training we had a good business with lofty goals. 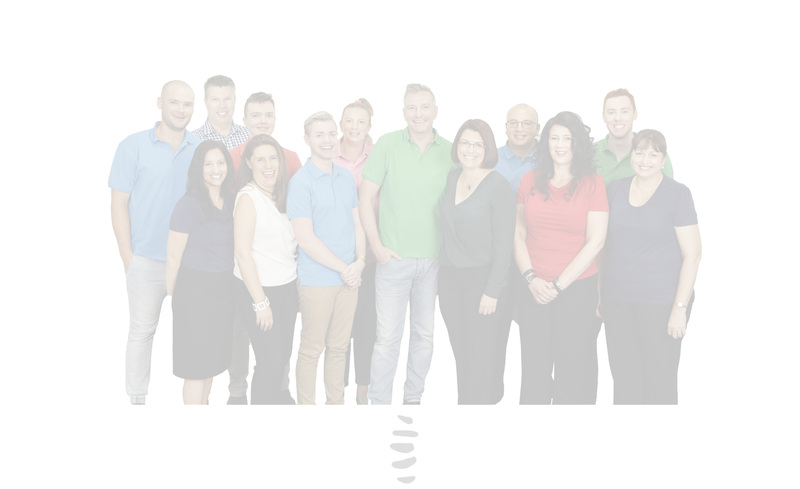 Now we have a better business, the how of achieving our vision has become clearer and I feel confident that we will be able to exceed our expectations all with the benefit of a culture that is absolutely humming along. The true benefits of a team that knows their own strengths and those of their team mates is beyond measure. We have had a 50% increase in turnover in the past 12-months; while there has been a lot of factors that have contributed to this increase, I can definitely say that embedding Strengths into our culture meant that we easily and seamlessly achieved this growth. What would you tell other organisations that are thinking about partnering with Human Tribe? Go for it! You will meet a team of people that are passionate about what they are doing, they are able to bring out the best in your team and they are excited about sharing the journey with you. It is worth every cent of the investment you will make and more.